Stacy Tilton Reviews: Coconut Water with an added "Zing"
Coconut Water with an added "Zing"
I've never been a real big fan of coconut, but it just so happens to be one of my husband's favorite things to add into all sorts of dishes. So over the years I've learned to be a little more flexible in trying things made with it. Never did I ever think I would be drinking it though. However now that I've tried CocoMazing I'm actually quite impressed. I have to say it's a very unique blend of flavors in one bottle. I really like the blood orange, and my husband on the other hand likes the limon. It's been a nice change when looking for a cold and refreshing beverage this summer with all the hot days for sure. 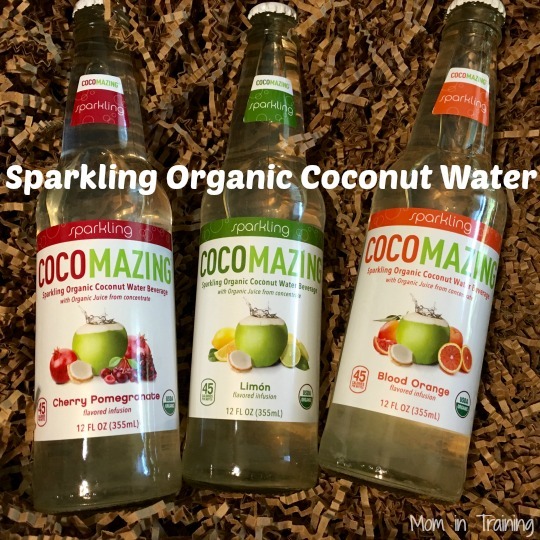 CocoMazing launched as the first-ever sparkling organic coconut water. At only 45 calories, CocoMazing is available in three flavors: Limon, Blood Orange and Cherry Pomegranate. These blends of sweet and tart flavors combined with carbonation result in a refreshing and unique coconut water blend with remarkable taste, reliable nutritional benefits and an enjoyable drink. CocoMazing is GMO-free, gluten free and uses no preservatives.